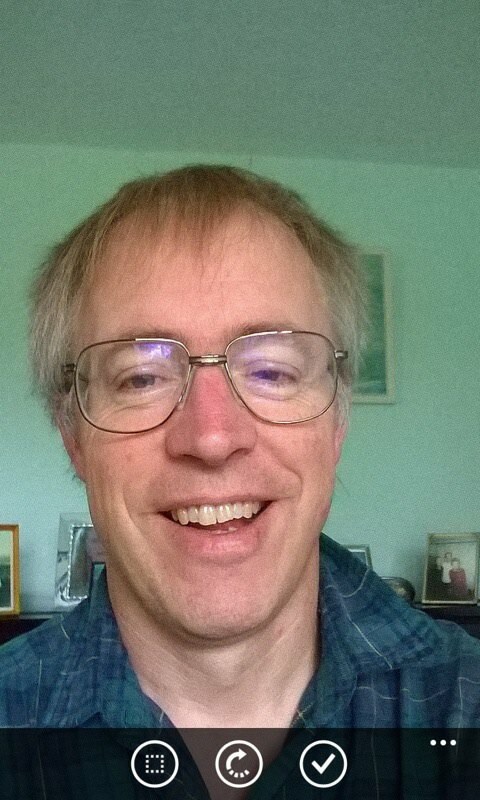 A more polished version of its previous incarnation, Nokia Glam Me (which was a horrible name), the new Lumia Selfie (also a horrible name, but at least its trendy) works surprisingly well and is destined to be shipped on the Start screen of newer devices like the 730. 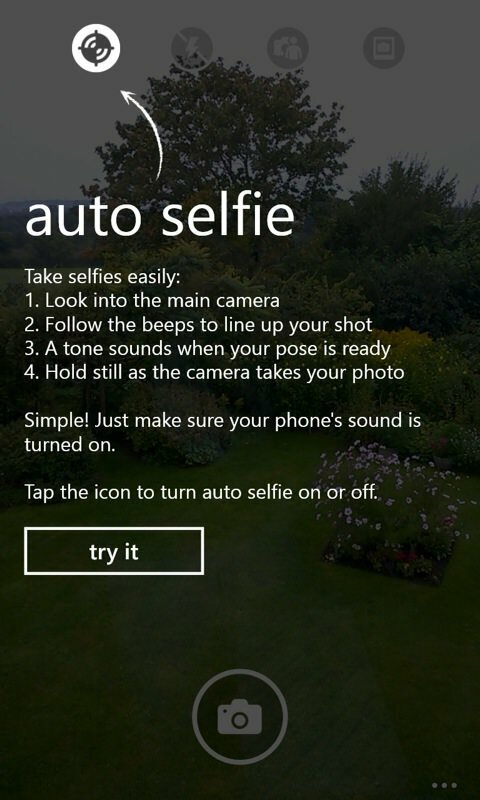 It's also available (as was Glam Me) for all Lumias with front-facing cameras, of course. In fact, it's possibly installable on devices with only rear cameras, in view of the back camera and auto-line-up support, comments welcome if you try this. 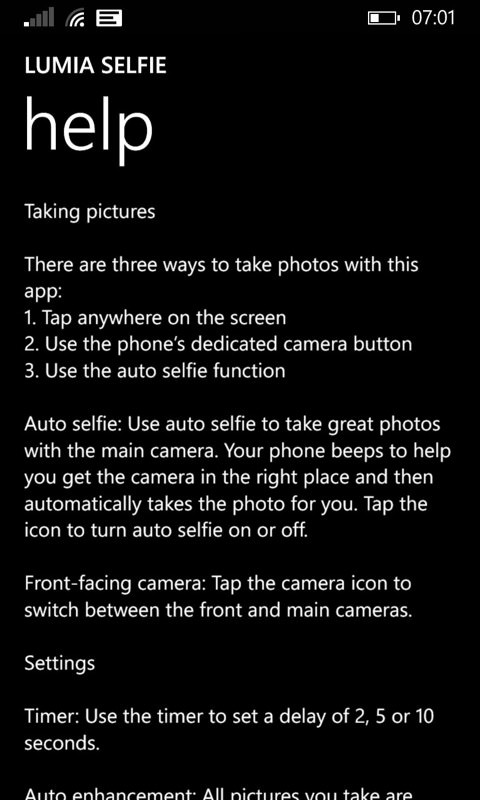 Lumia Selfie is recognisable as an updated version of Glam Me, but there has been quite a bit of work to improve it, in terms of icons, explanatory text, efficacy of effects, operation of the audio alignment section, and so on. Lumia Selfie is the perfect app for taking selfies with your front or main camera and sharing them with your friends. It's so simple to capture the perfect picture of yourself, automatically enhanced and ready to share straight away. You can also fine-tune your facial details and apply high quality effects. 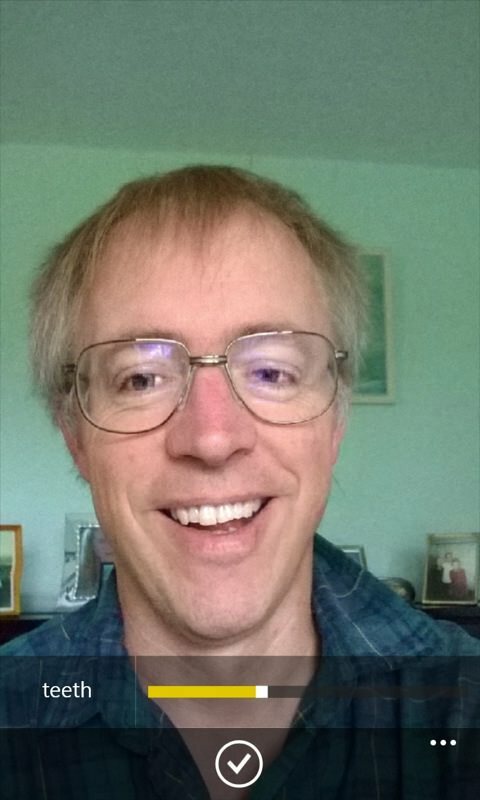 Although, as with Glam Me, the application occasionally refused to recognise my face because it didn't like my glasses, the algorithms have obviously been tuned and most of the time I got good results. There's something somewhat magical about seeing your eyes enlarged, your smile made happier and your teeth whiter (hey, it's cheaper than going to the dental hygienest, etc. ), even if the end result ends up looking rather unnatural! 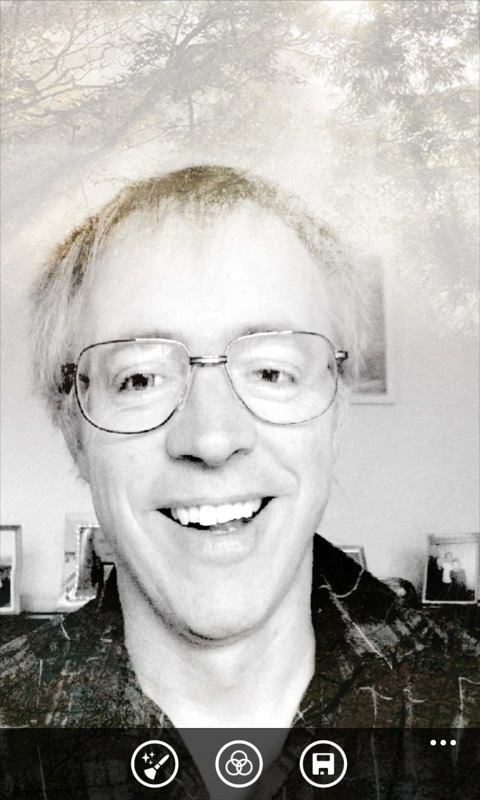 Step 1 is to take the selfie photo - the app defaults to the front facing camera, obviously... step 2 is to select your filter - here I'm experimenting with 'reflect', about another dozen arty filters are available to play with... Also, note that slimming and other facial enhancements have already been applied - by default Lumia selfie automatically applies whatever you did to the last selfie you processed. 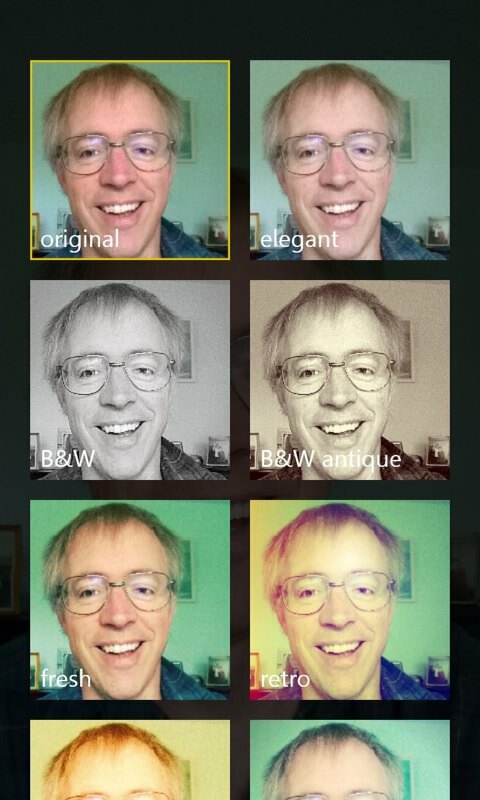 Browsing through all the filters available in one handy pane; (right) in the 'enhancements' section, setting a slider for each facial feature - here whitening my teeth! The end results are rarely that natural - maybe the secret is to be more restrained with the sliders, Steve! The help text - note the timer reference - the timer options have all been lengthened compared to Glam Me, to give users more time to set shots up; (right) about to try the rear camera 'auto selfie' - the rapid beeps and then steady tone work very well in practice. I did notice the odd minor bug, in that with multiple effects turned on, their overall effect was a little erratic as I adjusted individual sliders. Still, you can download Lumia Selfie for free in the Store here and try it for yourself. Effectively Nokia Glam Me has itself had its smile enhanced and teeth whitened!